I am using D flip flops in my clock divider circuit. I have started with one FF and moving up with the number of divisions I want to have in my clock. This is how I want my D ffs to work. Now I have my Verilog code for one FF. 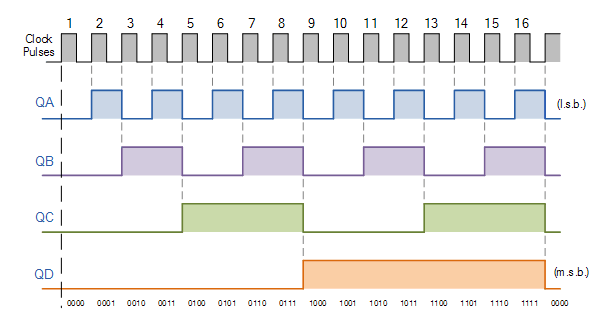 However a warning: If you use the q output to the clock, a real circuit will add up a significant delay. That's bad for a number of reasons. In some circumstances it's ok though, if you don't care about the phase relationship. If you do care, then look into designing a synchronous counter. Also, for a real circuit, buffer the output from the counter, otherwise if you just pass out q or qb it might see a big load and your counter will (at best) slow down even more. Not the answer you're looking for? 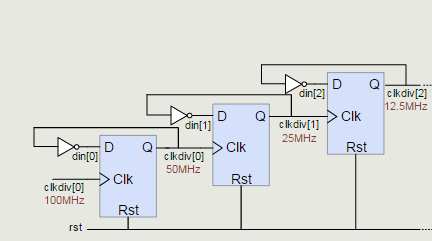 Browse other questions tagged verilog clock voltage-divider flipflop or ask your own question. Explanation of Edge Triggered D type flip flop triggered at positive edge of the clock pulse cycle (from Morris Mano Book)?